A special mention to local (London) Borough Market favourite Mrs Kings. A stall that has certainly not been distracted by temporary changes to the area as National Rail builds another line across the market. 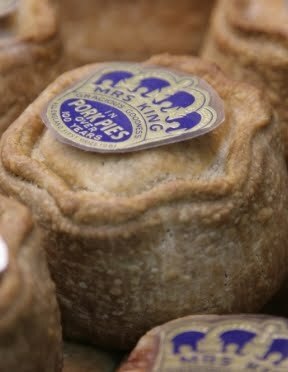 This is a pie with some serious heritage – a hand made Melton Mowbray pork pie produced in Cotgrave, south of Nottingham, to a traditional recipe by Ian Hart and his family. Elizabeth King started the business in 1853 and it was taken over by Ian’s grandfather in 1962.